As sonar technology progressed at the end of World War II it became desirable to launch depth charges to greater distances from the destroyer to engage submarines at the larger detection ranges made possible by the new sonars. 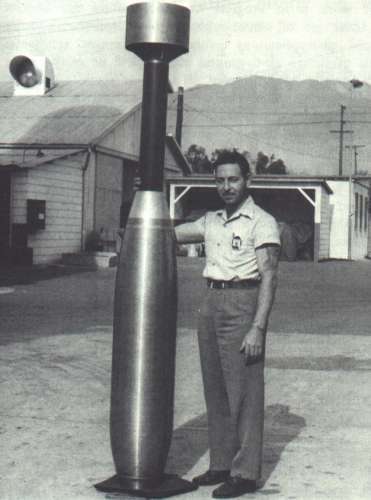 In 1946, the NOTS (Naval Ordnance Test Station) at China Lake started development of two rocket-boosted depth charges, called "Weapon A" and "Weapon B". These differed only in the weight of the charge, being 113 kg (250 lb) for 'A' and 23 kg (50 lb) for 'B'. Because the latter was eventually calculated to be not powerful enough to sink a fast submarine, it was abandoned. 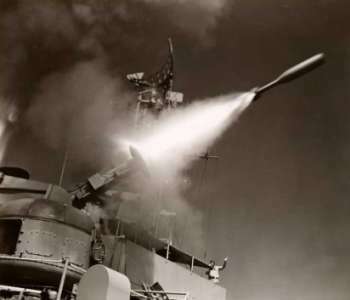 Development of "Weapon A" (usually referred to as Weapon Able, and later as Weapon Alpha (or Alfa)) continued through 1950, and it was first deployed on U.S. Navy destroyers in 1951. The Weapon Alpha rocket projectile was a simple 32.4 cm (12.75 in) warhead attached to a solid-propellant rocket, which boosted it to a range of about 730 m (800 yd). The warhead casing was made of plastic, because the fuzing mechanism required non-magnetic construction. 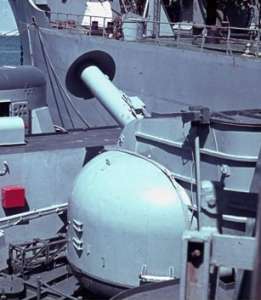 The rocket was fired from MK 108 launchers, which somewhat resembled standard 12.7 cm (5 in) gun turrets. The MK 108 launcher could fire up to 12 rounds per minute. There were two different types of rocket, Mark 1 and Mark 2, the latter having a slightly improved motor. After the Weapon Alpha rocket entered the water, it sank at about 11.5 m/s (38 ft/s). In 1963, the Weapon Alpha rocket was designated as RUR-4A. It remained in service until 1969, when the last systems were replaced by the RUR-5 ASROC.